Willard J. Hines, pianist, teacher, vocal coach, mentor, leader, activist and father figure to countless students, a native of Paducah, KY was known affectionately as the Mozart of his time while studying at Kentucky State University. In 1966, he ventured to Detroit, MI. His journey soon began at Butzel Jr. High School and then transitioned to the Martin Luther King, Jr. High School. 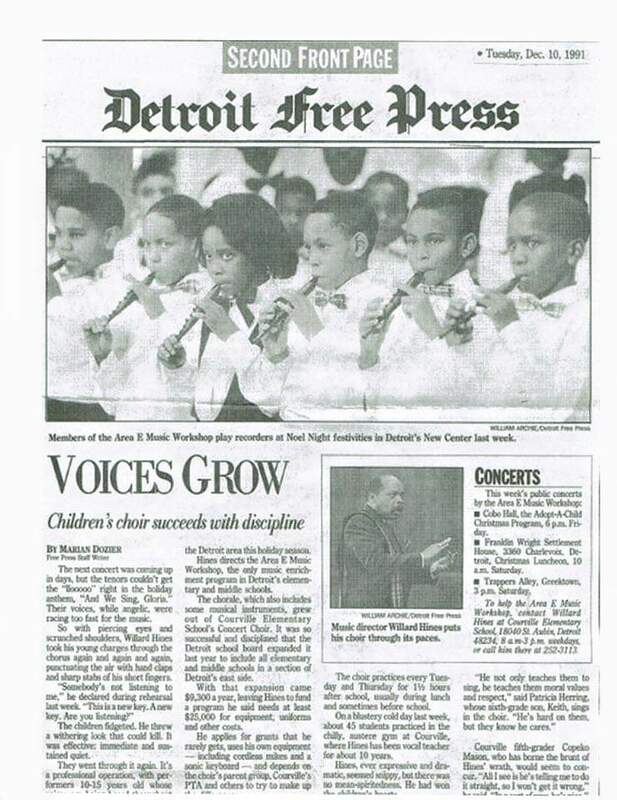 While teaching in Detroit Public Schools, he began building his network by working with local and professional recording groups such as “The Dramatics”, “The Jones Girls”, “The Quickest Way Out”, “The Enchantments”. He soon formed his own group The Willard Hines Ensemble and performed at the famed Apollo theatre. 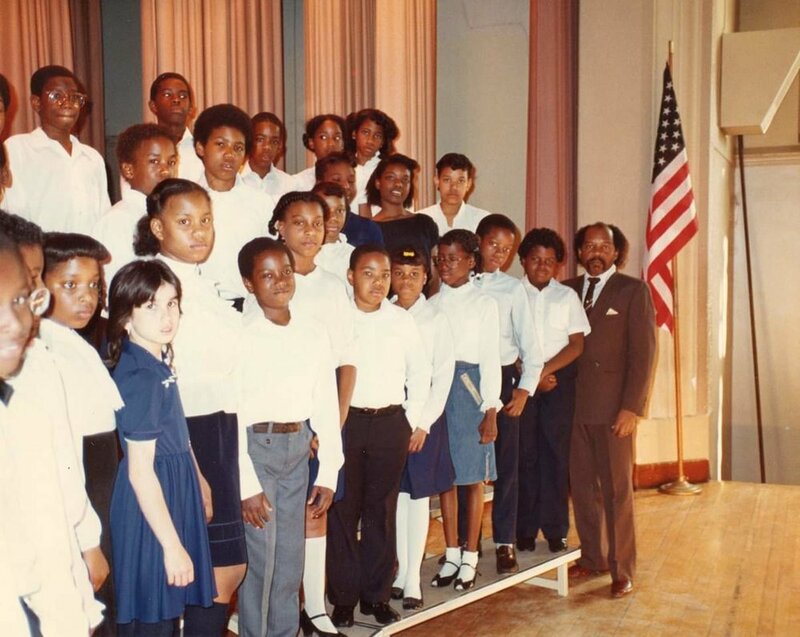 He returned to teaching at Courville Elementary School and during his tenure he made such an impression on young singers that he noticed his students stayed musically connected with him after they matriculated. 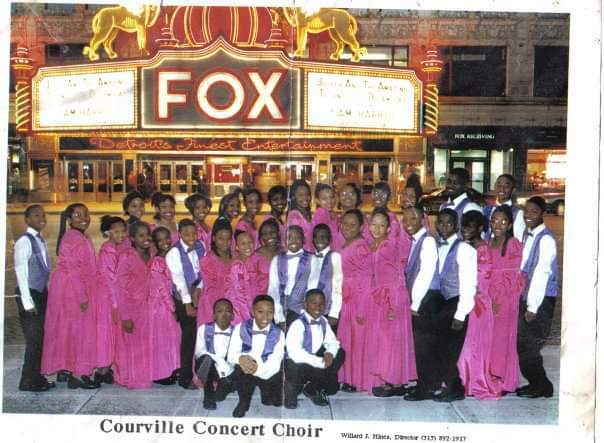 Thus, the Courville Concert Choir was formed with singers of all ages and has been a Detroit educational institution ever since. 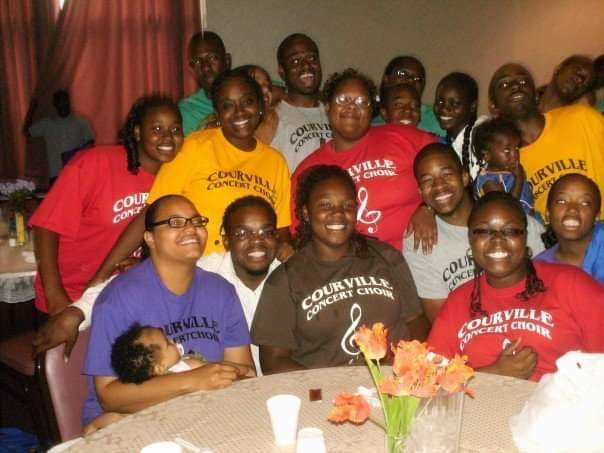 Courville Concert Choir has toured the U.S. and performed on a professional level in great concert halls, stages with legends such as gospel singer Oleta Adams, singer Donny Osmond, Melba Moore, Stephanie Mills, country singer Lorrie Morgan and many more. He spent over 24 years at Courville instilling in his students that they are the leaders of tomorrow and they can make a world of difference! 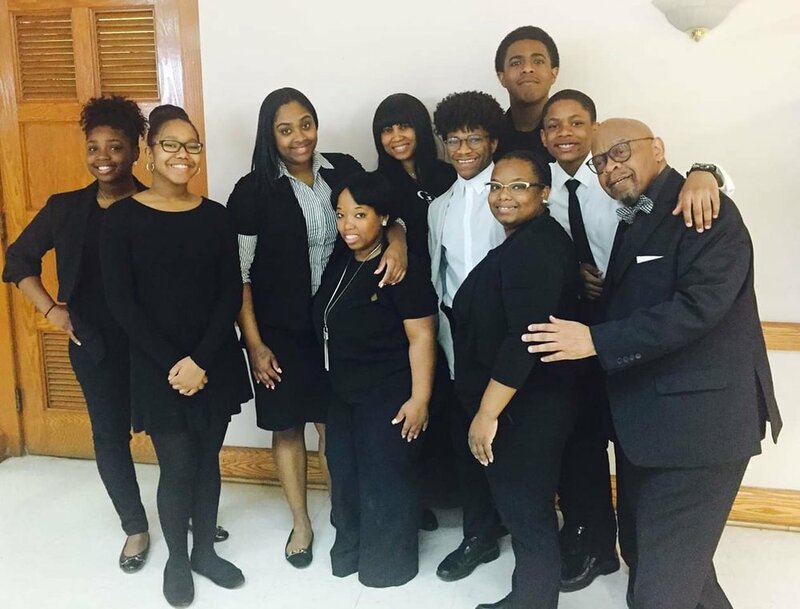 The mission of this committee, comprised of his former students, is to make a world of difference by annually awarding two one-time 1,000 voice scholarships to young aspiring musicians; a high school senior of Detroit, MI pursing a degree in music concentrating on voice at any college or university and a current music student concentrating on voice at Kentucky State University Mr. Hines’ alma mater. 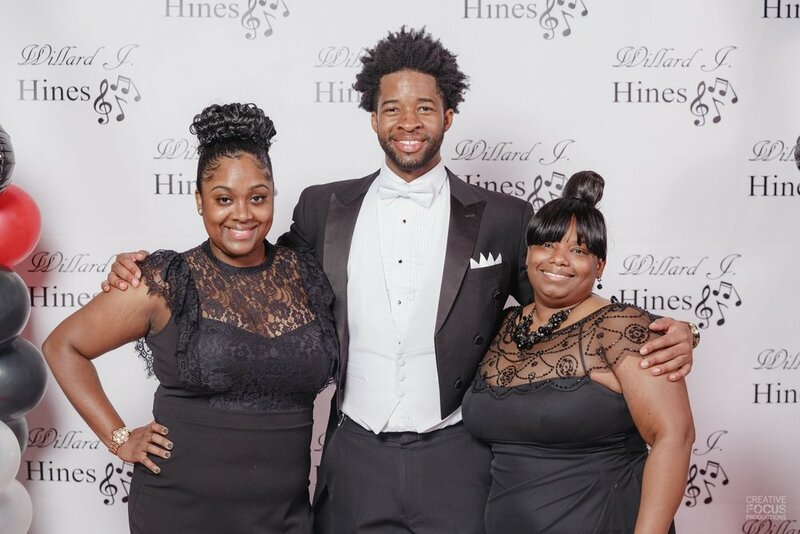 Mr. Hines has used music not only to educate, discipline and inspire but to spread a positive narrative for the youth. 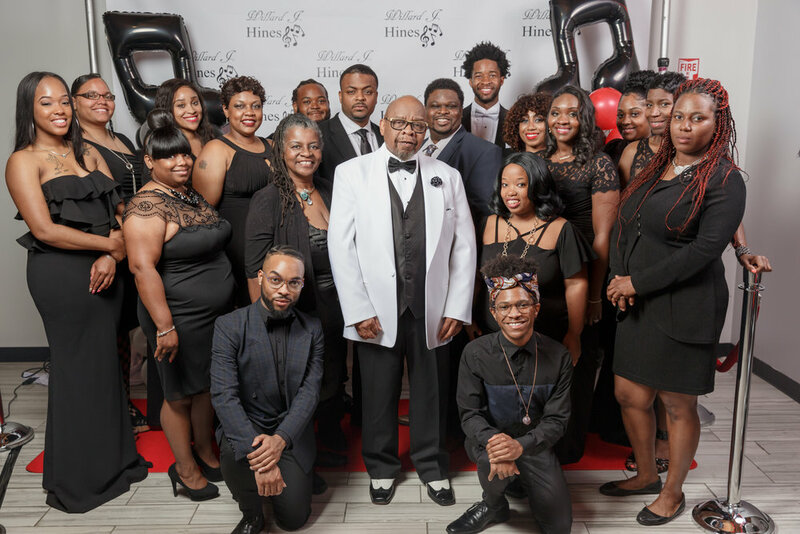 Hopefully, this scholarship will inspire future educators/music educators to perpetuate Hines' legacy of teaching, love of music, love of children, and commitment to community service. 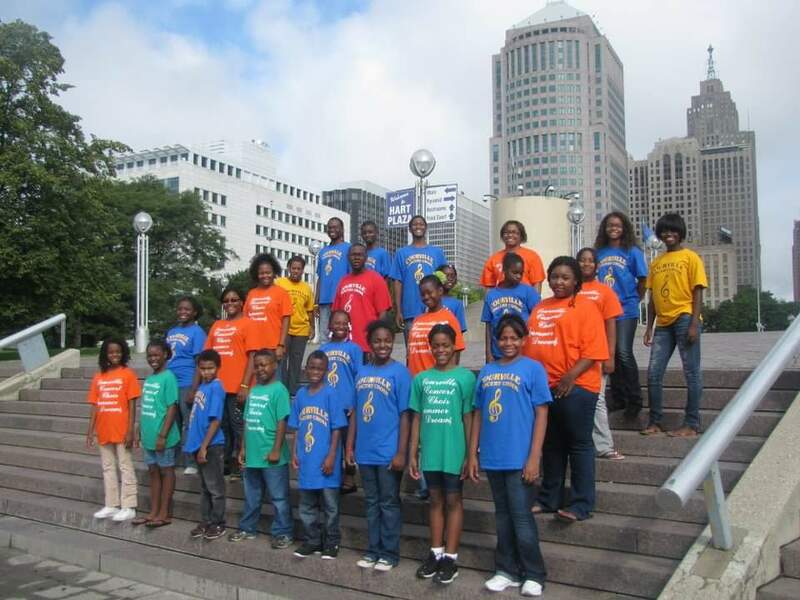 Student must currently be enrolled at Kentucky State University as a music major concentrating on voice. Student must provide one (1) academic transcript. Student must provide two (2) letters of recommendation. (School, Church, Teacher, or Professional organization). Student must prepare two (2) contrasting musical selections of any genre. One selection must be of the classical repertoire through audio/video submission. (Mp3 audio files/quality YouTube or other video links are accepted). Student must write a minimum 400-word essay “describing their musical goals and aspirations”. Scholarship funds will be dispersed at the beginning of applicant’s upcoming semester upon proof of registration. A Press announcement displayed on multi-media forums. 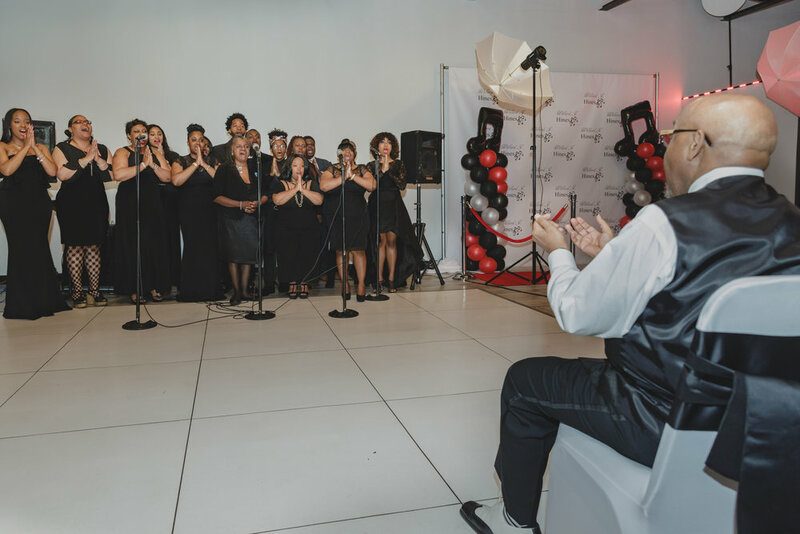 Winners must agree to attend future Willard J. Hines award programs or concerts and possibly perform if requested. Details will be provided in advance. Cortez Mitchell, formerly a student of Willard J. Hines.